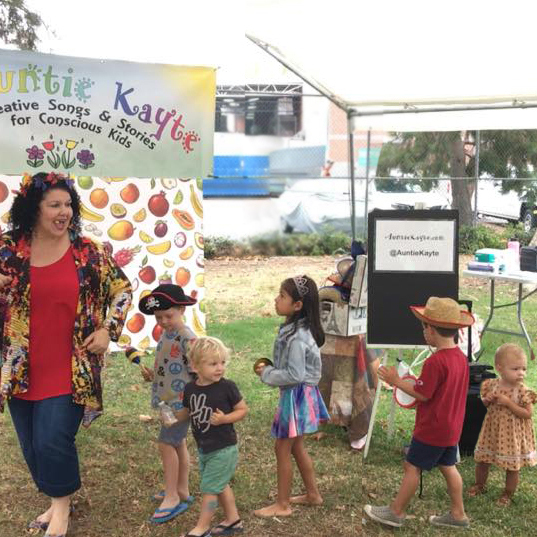 Award-winning singer/songwriter Auntie Kayte (Kayte Deioma) is available to bring her creative songs for conscious kids to schools, libraries, parks, museums and festivals around Southern California. 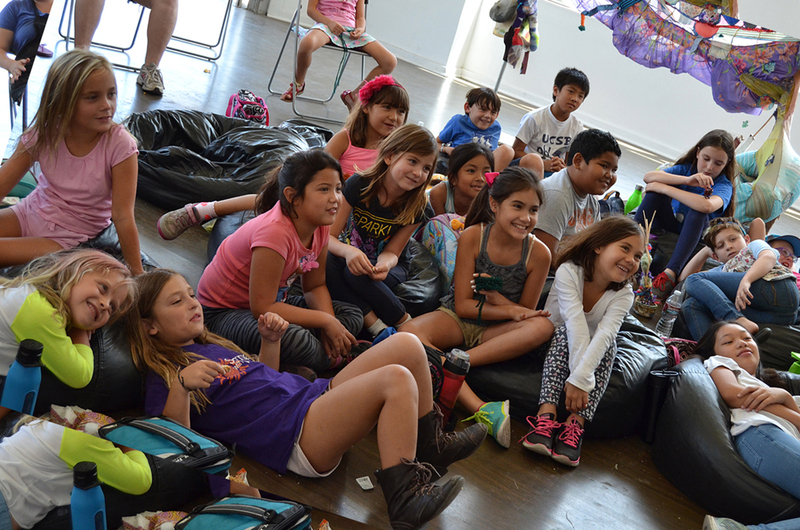 Catchy music, smart lyrics and engaging presentations inspire perspective-altering conversations with kids of all ages. All programs also available for assemblies. A full band option is also available. 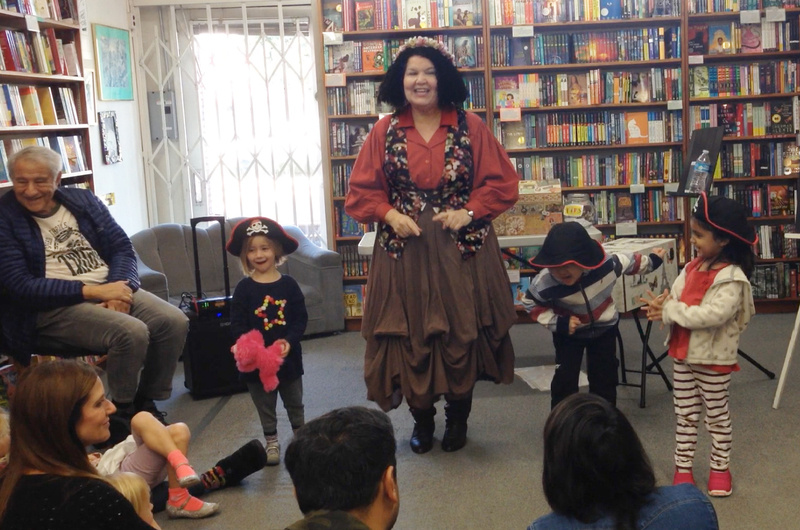 Upside-Down Fairytales (pre-K-5) – Interactive role-play songs that break stereotypes about traditional storybook characters, opening up philosophical, ethical and aspirational discussions among kids as young as 3. Includes songs and stories that promote a love of words and reading. 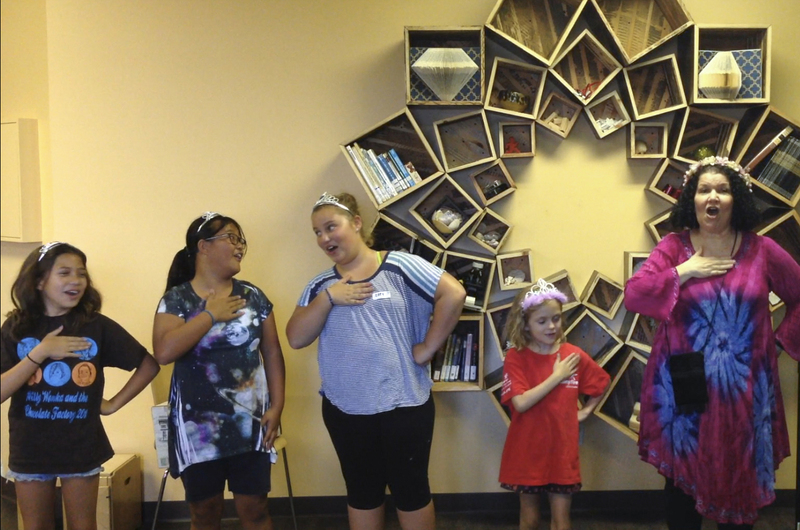 When I Grow Up (K-6) features interactive songs in diverse musical genres that promote positive career aspirations and a can-do attitude. Create the World You Want (K-6) focuses on imagination and the individual's role in taking responsibility for their own environment, contributions, thoughts and feelings, empowering them to make positive choices for themselves and the planet. 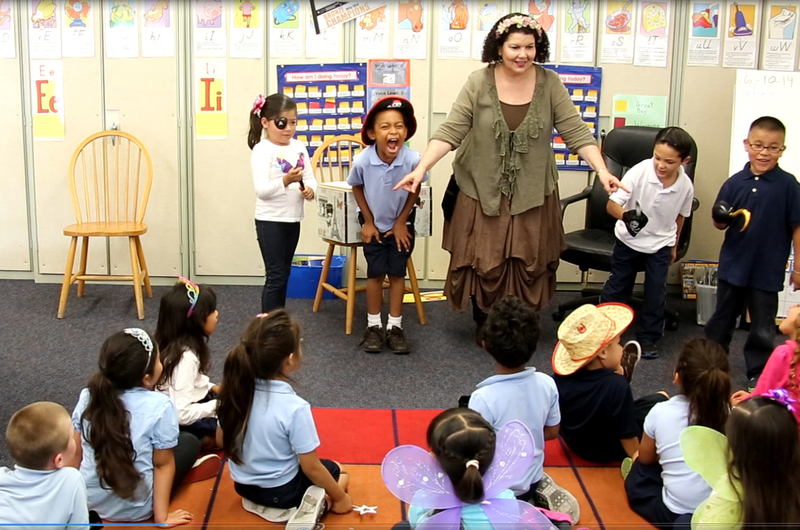 Friendship is Universal (K-5) includes songs that promote positive social interactions and relationship-building. 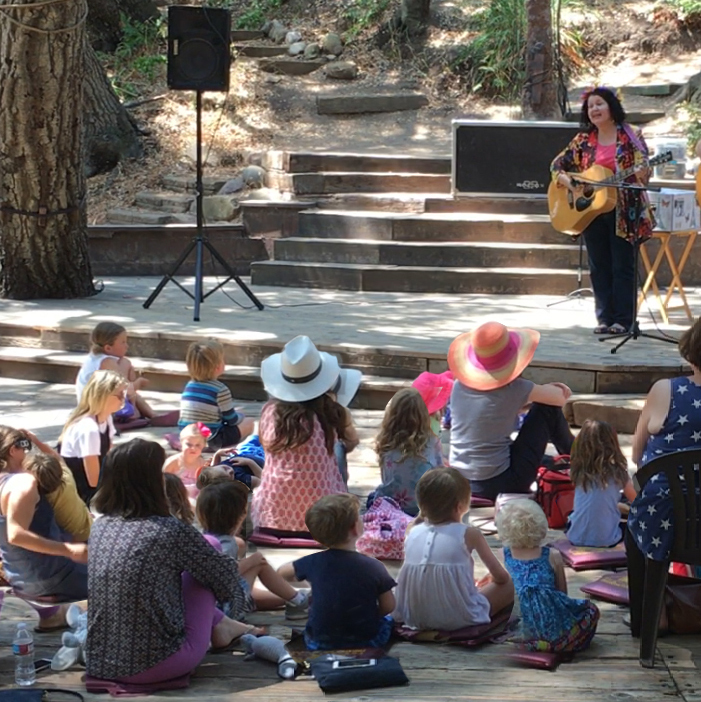 Seasonal Shows - Themed shows for Spring, Summer, Fall, Winter and Holidays. Subscribe now to Auntie Kayte's Music Updates to hear about events near you. 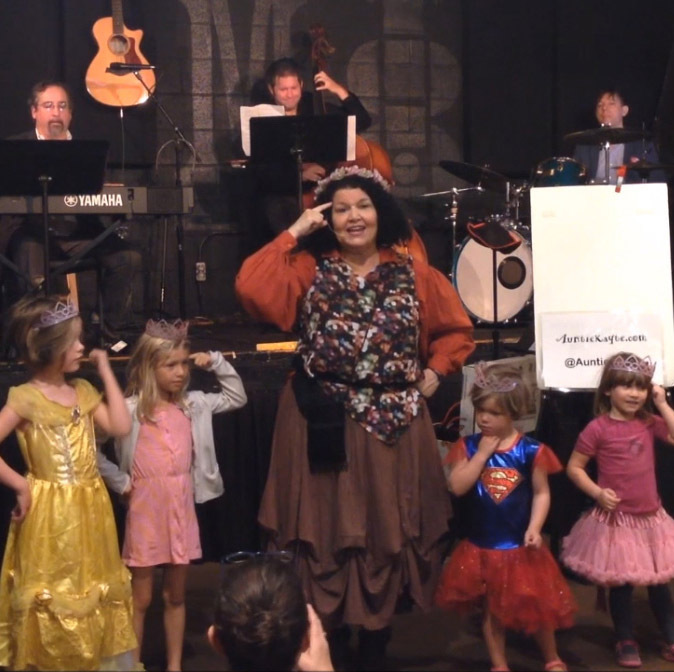 Auntie Kayte is available solo or with a full band for interactive shows designed for kids from 3 to 12.